In Bounded Rationality and Politics, Jonathan Bendor considers two schools of behavioral economics—the first guided by Tversky and Kahneman’s work on heuristics and biases, which focuses on the mistakes people make in judgment and choice; the second as described by Gerd Gigerenzer’s program on fast and frugal heuristics, which emphasizes the effectiveness of simple rules of thumb. 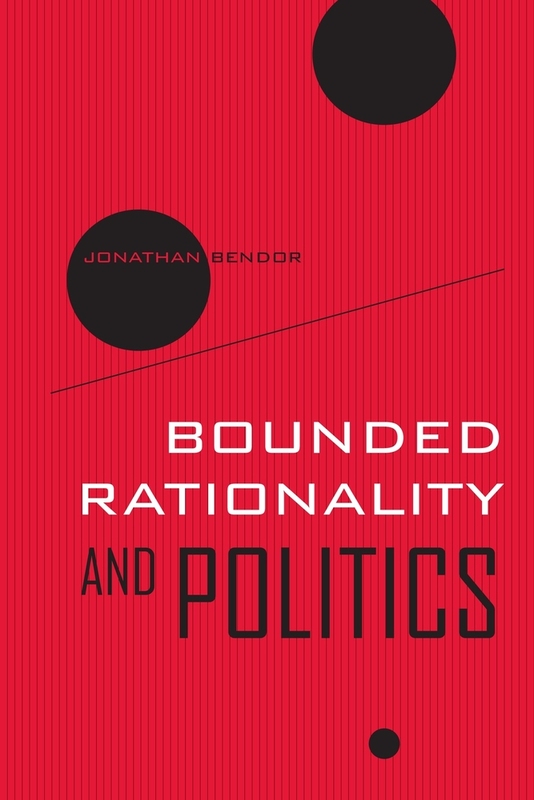 Finding each of these radically incomplete, Bendor’s illuminating analysis proposes Herbert Simon’s pathbreaking work on bounded rationality as a way to reconcile the inconsistencies between the two camps. Bendor shows that Simon’s theory turns on the interplay between the cognitive constraints of decision makers and the complexity of their tasks. Jonathan Bendor is Walter and Elise Haas Professor of Political Economics at the Graduate School of Business, Stanford University.